The adidas Yung-1 has gone somewhat under the radar this year, despite its popularity in the lifestyle market. However, the Three Stripes is ready with a grand return for the 90s silhouette, dressing it in a neon “Tokyo” color scheme. 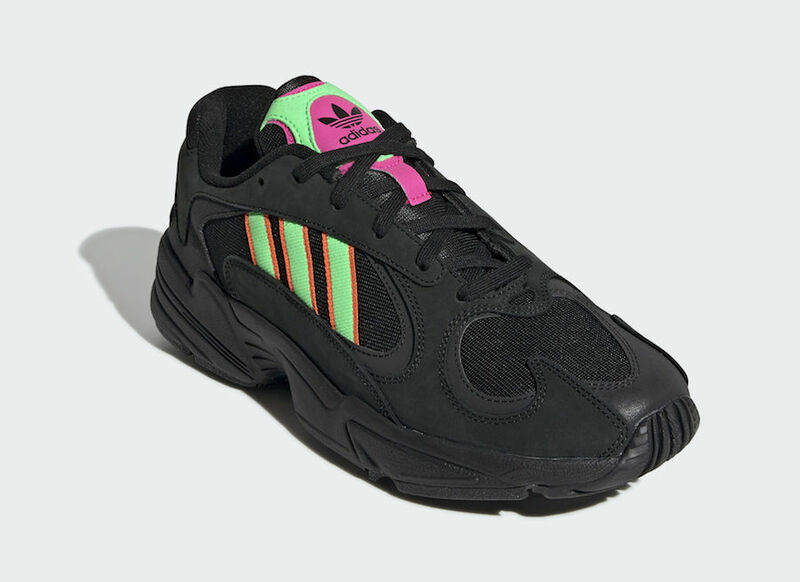 adidas’ Yung-1 has blown up over the past year since its debut, launching in dozens of colorways and collaborations, and making the jump from sneakerhead to everyday consumer in excellent time. Now, adidas is figuring where the revived 90s silhouette fits in their archives, and the latest “Tokyo” colorway is certainly a great start. 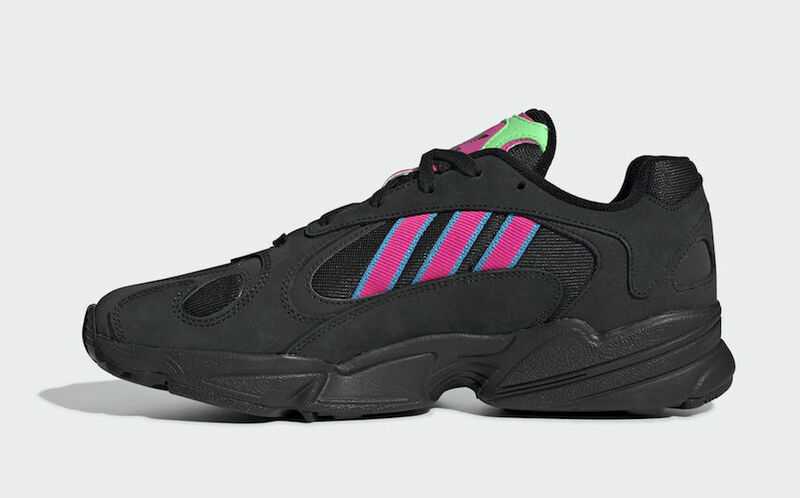 Already available from the Three Stripes overseas, the new neon-themed colorway pits almost the entirety of the Yung-1 in stealthy black, from the mesh base layer to the smooth nubuck overlays and down to the midsole. The stripes on the lateral side come in neon green with bright orange accents, while the medial stripes catch the eye in pink and blue. 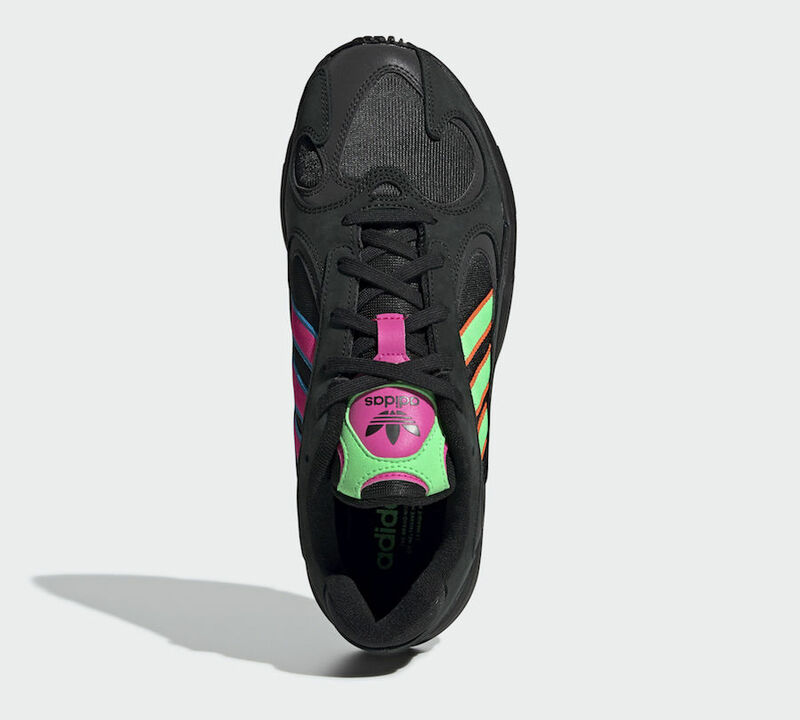 These two color combinations converge on the tongue, where the neon green and pink tones set a bright background for the adidas Originals trefoil. The bright new look for the adidas Yung-1 “Tokyo” is already available directly from the brand in China, with a stateside release expected sometime in the coming weeks. As usual, this unique Yung-1 colorway will carry a retail price of just $120 and release from both adidas and select retailers. Check out the official images below for a better look, and stay tuned to JustFreshKicks for more adidas release news. 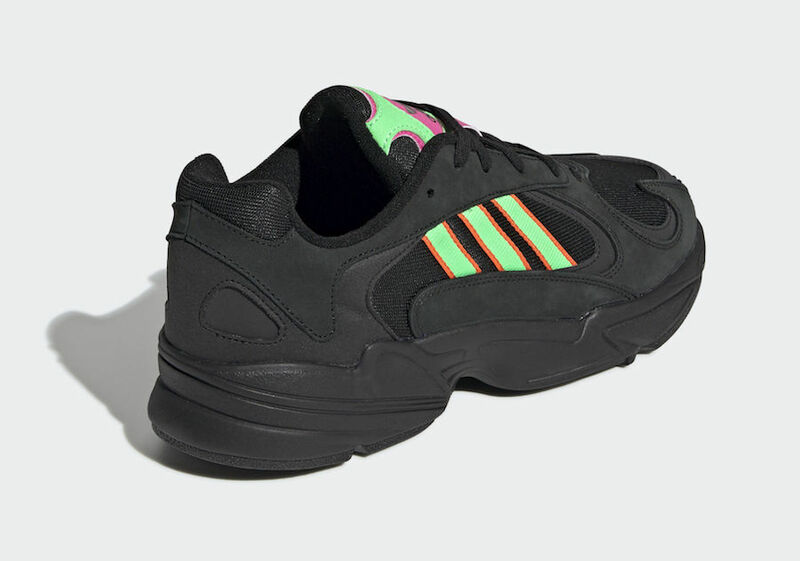 The post adidas’ Yung-1 Surfaces in a New Neon “Tokyo” Color Scheme appeared first on JustFreshKicks.